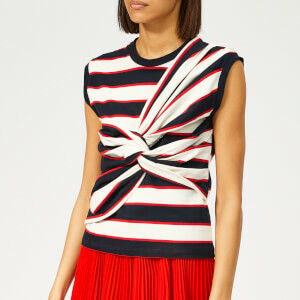 A classic MSGM T-shirt elevated with an arrangement of red, white and blue stripes. Cut from pure cotton with a relaxed fit, the striped tee features a ribbed crew neck, short sleeves and small MSGM logo across the chest in white. Finished with a straight hem.